North American syndicated Rock radio show and website InTheStudio: The Stories Behind History’s Greatest Rock Bands devotes two weeks to The Beatles’ only double album, 1968’s White Album. In this week’s edition Paul McCartney admits that the band members’ individual recording sessions for the White Album signaled the eventual break-up of the band, but yet was responsible for the most diverse Beatles album ever. 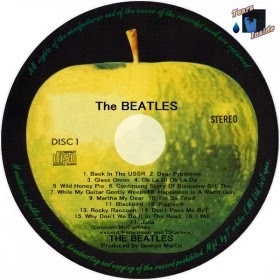 From the album opener “Back In The USSR”, to “Dear Prudence”, “Happiness is a Warm Gun”, “Rocky Raccoon” and “While My Guitar Gently Weeps” the White Album reordered everything creatively that we thought collectively about the Beatles. Paul McCartney reveals to InTheStudio host Redbeard about how the environment in the studio for those sessions impacted the output.